This past Saturday night for our Sabbath Dinner, I was looking for something simple (coming right on the heels of the Winter Feast the night before). So I turned to what has become one of my favorite cookbooks (right behind Hot Providence). It’s called Perfect Recipes for Having People Over by Pam Anderson. It is organized in a simple, helpful fashion, with tips on what beverages or side dishes to serve with the main dish (with the recipes for them), how far ahead to make it, what to do with the leftovers, and when to serve it. For example, a few weeks ago I made her recipe for a very simple stew, and it was delicious. Not your average stew at all, and it only bakes for an hour and fifteen minutes (at 450 degrees). Earlier this winter, I tried her recipe for Boneless Coq Au Vin, something I had never tried before. It’s more challenging and engaging to be in the kitchen when I’m trying out something new, especially when I have been leaning a little too heavily on the old tried-and-true. So this week I flipped through the pages looking for inspiration, and this is what I found:Â Grown-Up Sloppy Joes. And I made them! Of course I warned the family ahead of time, so that they would come prepared (and they all still came). And, it was actually quite a yummy dinner. Some of the grandkids loved it, and some were not as enthusiastic, but it was a general overall hit. 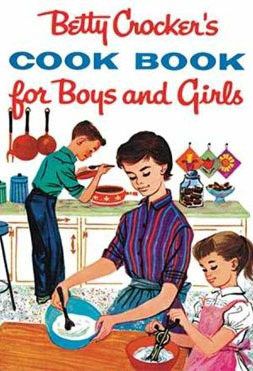 The thing that particularly blessed me was that Sloppy Joes happened to be my childhood specialty, straight out of Betty Crocker’s Cookbook for Boys and Girls. That is a GREAT cookbook. I’ve made the Grown-up sloppy joes for several occasions and they’re always a hit … among grown-ups. Haven’t tested them out on kids yet! Ooooh, that looks interesting. I’m working on the whole hospitality thing and can definitely use inspiration/advice. Is this a good cookbook for cooks who like to thumb through recipes, get lots of ideas, and then change half the ingredients, or is it better for step by step cooks? I can follow directions when it’s really important (ie cheesecake), but for most recipes I tend to improvise at least a bit. I am actually salivating just from looking at the picture of the pork on the front, and that is saying something, as pregnancy does not make me a happy eater right now. I just bought this cookbook from Canon Press. I was introduced to it by the pastor’s wife from Christ Church of Morgantown. We were there on an extended business trip this past summer and they had us over quite a few times. She made several meals from it and I thought they were excellent. The roasted pears were wonderful and the caesar salad with homemade croutons and dressing was very good. 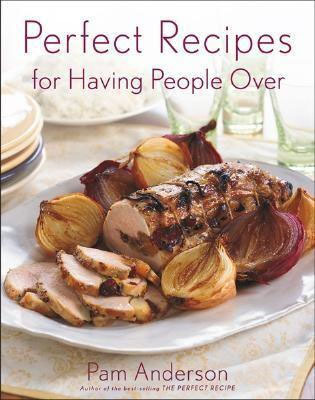 i have the Perfect Recipes cookbook too, and do love it! I love Pam Anderson. My pastor’s wife gave me “How to Cook Without a Book” when I got married and it has been so valuable-especially as a girl who didn’t learn how to cook from her mom. I am actually going through her book on my blog a chapter at a time with my sister in law. It has been fun to learn the basic techniques together.